The Lugari district is close to the Ugandan border and is located in the Western Province of Kenya. The district has a population of 216 000 people, many of which earn their living through farming. 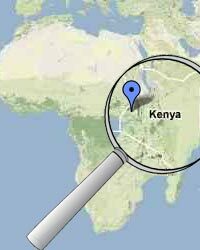 WVP Kenya has a field office in Lugari town, a small district town with only 5 000 people. Our team in Lugari is working with 3 community groups and is in the process of identifying additional partners.